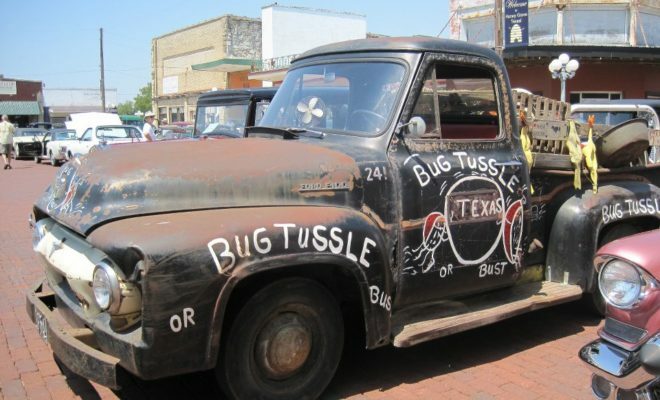 Bug Tussle, Texas. Yes, this is the name of an actual Texas town. As many Texan travelers can relate, the Lone Star State has a penchant for giving its locales interesting names. Everyone loves a great name. And as with most things in Texas, a great name comes with a great story. 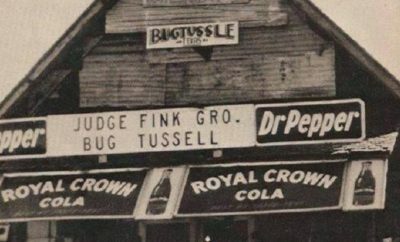 Bug Tussle is located in Fannin County in Northeast Texas near the Oklahoma border. 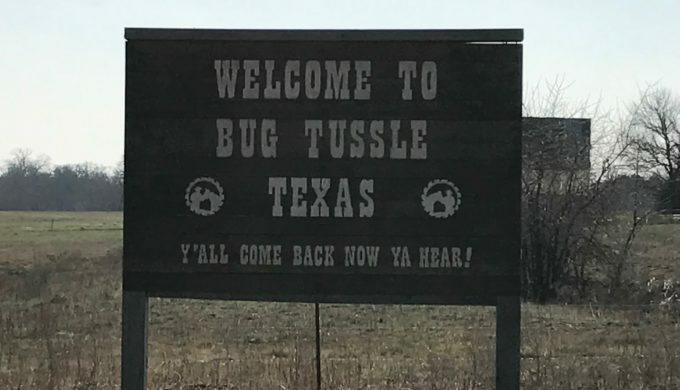 Although Bug Tussle could be a great way to describe how insects near the Red River feel about annual UT versus OU football, the way in which the town got its name is much different. One version of the naming has to do with an ice cream social gone awry. Picture yourself on a lovely Sunday afternoon. All the boys and girls are gathered up for a fun time. Food is served as organized by the local church and ice cream is served for dessert. The air is ripe with the scent of community, young love, great food, and bugs. Lots and lots of bugs. Allegedly, the insects flying through the air and landing on dishes were so plentiful that the social event was effectively ruined. Another version of how the town was named has to do with a common story among small towns. Although we paint quaint pictures of these quiet, quirky places, many who live in them, especially the youth, report that there isn’t much to do. 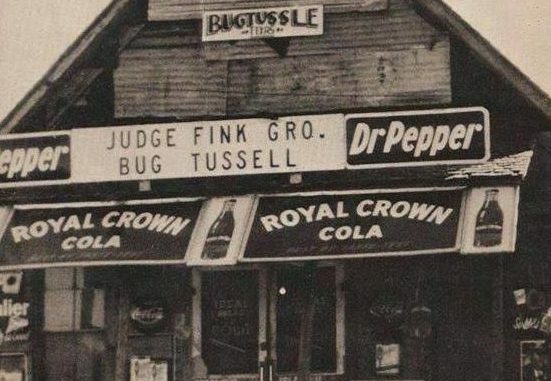 As was the case with Bug Tussle when it got its name. Many of the youngsters who lived in the town at the time claimed it was so boring that the only entertainment available was to watch the tumble bugs roll their piles for fun. Thus, the town was dubbed Bug Tussle. ← Previous Story Dinner or Supper: What Does Your Family Call the Last Meal of the Day? Next Story → Remember Licking and Sticking S&H Green Stamps at Grandma’s House?